Wilderness Safaris is delighted to announce the successful capture of a small founder population of Critically Endangered black rhino in a joint collaboration with the Botswana and South African Governments. The rhino are destined for a safe haven in Botswana. This follows the successful capture and release of a group of black rhino last month and is part of an ongoing conservation project to establish a core population of this threatened species in Botswana. “We are extremely proud of the success of this translocation project and the ongoing positive impact Wilderness has made to rhino conservation in Botswana and further afield over the past 20 years. We are very confident that these animals will settle well and breed, given that the habitats available have been assessed as being perfect for black rhino,” says Wilderness Safaris Group Conservation Manager, Kai Collins. He added that Botswana offers a safe refuge for Endangered species with full support and backing offered from the Government and Department of Wildlife and National Parks to secure their safety from potential poachers. The Wilderness Botswana Rhino Project is an ongoing partnership between Wilderness Safaris and the Botswana Department of Wildlife and National Parks. It was started in 2000 with the reintroduction of white rhino from southern Botswana into protected areas in the north of the country. Subsequent reintroductions of white rhino over the next five years increased the population substantially and the success of these rhino can be measured in the recruitment of calves born in the wild. In 2003, a small group of south-central black rhino were introduced into the same area and a single calf was born in 2009. These highly threatened animals are known to have occurred in large numbers, possibly thousands in the mid-nineteenth century in the very area into which they have been introduced. Thanks to extensive fundraising efforts in preparation for this translocation by the Wilderness Wildlife Trust and other important sponsors, including International Rhino Foundation, the Tiffany & Co. Foundation, Rhino Force and Empowers Africa, to name a few, the first part of the project has been a great success. “We look forward to completing the translocation process in the next few months and ensuring that these rhino are well looked after in their new home”, Collins added. RHINO FORCE 100% BEHIND RHINO – NOT 50/50. Whilst the original reason for the programme was reasonable and justified, and certainly dealt with a controversial issue of public importance, the programme itself was neither reasonable nor justified. The errors of fact, together with the omission of relevant material, eliminates any justification for such a programme within the ambit of the BCCSA Code. The programme included facts and opinions that were not based on the truth, or on a reasonable perception of the truth. Although there were instances of facts fairly indicated by the Respondent, not all such facts were fairly indicated, or they were simply omitted. Therefore, it was not possible for the SABC 2 to claim that it had a reasonable conviction that all the statements it made were true. Furthermore, the programme created an impression of dishonesty and/or lack of transparency on the part of RhinoForce – an impression which was not based on the facts. Moreover, the programme referred to facts, or opinion stated as facts, to which RhinoForce was not given a substantively fair right of reply, and in so doing it did not provide sufficient balance to afford audiences the opportunity to form their own opinions. In the result the complaint was upheld and the SABC reprimanded for its contravention of the Broadcasting Code. Boerner stated, “The programme portrayed our client as dishonest. It was always our opinion that 50|50 were in breach of the BCCSA’s Code of Conduct. They presented a programme in which controversial issues were discussed, without making reasonable efforts to fairly present all the facts and our clients’ opposing points of view. They also created an impression of dishonesty that was not based on facts. It is most pleasing that the BCCSA has vindicated our client and the complaint against 50/50, SABC 2 has been reprimanded and the complaint upheld. 50|50, despite being an environmental programme, entered into the world of investigative journalism without thoroughly investigating. They were found to be in breach of the Code of Conduct and have been reprimanded accordingly. We trust that lessons have been learnt by 50|50 and its producers and that they will exercise caution in their future reporting. The errors of fact, together with the omission of relevant material, meant that the SABC 2 and 50|50 had no justification for such a programme within the ambit of the BCCSA Code. Dwindling viewership is no excuse for incorrect reporting and irresponsible journalism.” Joanne Lapin Thorpe, CEO of The Bead Coalition, owner of the Rhino Force brand says, “The rhino issue is highly emotive, and stirs the hearts and minds of millions. The scrutiny and investigation of commercial organizations donating millions to rhino conservation should be handled honestly, respectfully and responsibly.” In this instance rhino conservation should have superseded 50|50’s hidden agendas and ill-intended sensationalism. 50|50’s factually incorrect and defamatory broadcast regarding Rhino Force has threatened rhinos greatest hope, the consumer. 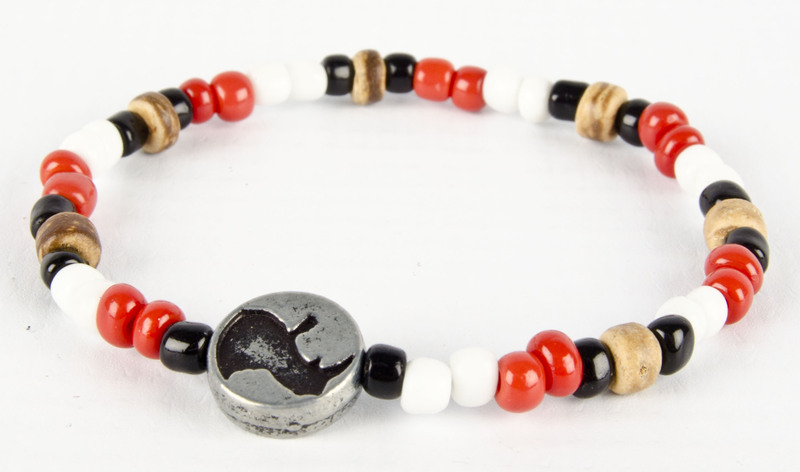 With 419 rhinos already lost to illegal poaching this year, Rhino Force will fiercely accelerate efforts to save rhinos with their iconic red, black and white beaded bracelet, a simple accessory that has become a world best-seller and a global symbol of rhino conservation. Over 700,000 people proudly wear the bracelet, including HRH Prince Harry. A massive R5,264,690.21 has been raised and donated to rhino conservation by Rhino Force, including the facilitation of R1,080,000.00 for rhino relocation to Botswana. We thank the BCCSA for our vindication.” To learn more you can read the Rhino Force BCCSA Tribunal’s Judgement here. 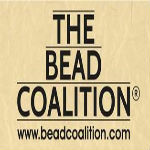 The Bead Coalition [Pty] Ltd is a commercial business based in Johannesburg. The organization’s bespoke accessory range include beaded items hand made by previously unemployed communities in rural South Africa and sold to the world. Cause-themed accessories such as the rhino bracelet raise awareness and funds, making significant environmental, conservational change. Other bracelets include OCEAN, CYCLE, LITERACY, HERITAGE, MOTOR NEURON DISEASE and HIV. Globeflight hopes to raise funds and awareness for rhino conservation, by choosing two RHINO FORCE beneficiaries to donate to – IAPF (International Anti Poaching Foundation) and Wilderness Wildlife Trust – as well as selling RHINO FORCE bracelets along the way. (www.facebook.com/Globeflight1), YouTube channel or the company’s Twitter handle (@Globeflight1) to stand a chance to win fantastic prizes. For every ‘selfie’ posted, Globeflight will donate money towards the Wilderness Wildlife Trust’s Black Rhino relocation project and the IAPF, which, amongst other laudable initiatives, trains anti-poaching rangers. Entrants must use #Ilanga and # Globeflight in all posts to qualify. Winners will be selected according to the number of ‘likes’ their photo or video receives. Prizes include weekly draws and cash and fantastic hampers. At the end of the campaign in September, three entrants deemed the ‘most travelled’, ‘most creative’ and ‘best selfie’ will be awarded an all-inclusive three night stay for two at a five star South African resort complete with a wildlife experience. In addition to the ‘core’ competition, entrants can also win weekly prizes by identifying the landmarks Ilanga will be photographed with along her journey. All participants need do is log on to Globeflight’s website (www.globeflight.com) identify the landmarks and complete the entry form. In a bid to boost awareness of the campaign, Globeflight has partnered with popular local breakfast show ‘Expresso’ which will track Ilanga’s movements on its website, and assist with judging. The final three winners will be announced on Expresso on the 26th of September. Local celebrities have already endorsed the interactive campaign. Once the campaign comes to an end, Ilanga will be auctioned at Hyde Park by ‘My Rhino’ to raise additional funds for rhino conservation initiatives. Ilanga will visit Swaziland, Witbank, Polokwane, Nelspruit, Kruger Park, Richards Bay, Pietermaritzburg, Durban, East London, Port Elizabeth, George, Cape Town, Bloemfontein, Kimberly, Johannesburg and Pretoria. For further details on when Ilanga will be in your area, go to www.globeflight.com. The Bead Coalition’s RHINO FORCE division, the home of the best-selling rhino bracelet, has donated a R 280.000.00 4×4 vehicle to the International Anti Poaching Foundation (IAPF), founded by Damien Mander. The vehicle will assist the IAPF to reach remote areas threatened by rhino poaching. 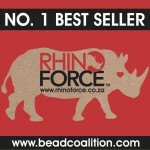 The company will be raising the donation through the sale of RHINO FORCE bracelets. In addition, the IAPF will be receiving 10% of gross profit of every hand-beaded RHINO FORCE bracelet sold in South Africa. (Please visit our website for our other beneficiaries). Anti-poaching rangers form the first line of defence for our wildlife. Without the right training and equipment, they cannot defend natural areas. 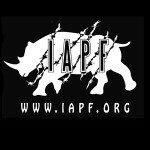 The IAPF believes in wildlife conservation through direct action. It develops, implements and manages: Anti-poaching ranger training; conservation security plans; wildlife crime information systems and more. In 2009, Damien Mander, a former Australian Royal Navy Clearance Diver and Special Operations military sniper, formed the IAPF to use his unique skills for conservation. See more at: http://www.iapf.org “Having RHINO FORCE in our corner is a huge step in the right direction, we are truly grateful. We are fighting a world wildlife war and the rangers who spend their lives at the front-lines need all the support they can get. I don’t ask you to consider whether or not rangers should be trained or equipped to the genuine levels required, I ask if you will accept the outcome if we do not follow this path?” says Damien Mander, CEO of IAPF. Red, black and white RHINO FORCE beaded bracelets are worn for rhino conservation globally, and are sold online at www.beadcoalition.com or at various retailers and lodges in Southern Africa for R40 each. We deliver worldwide.